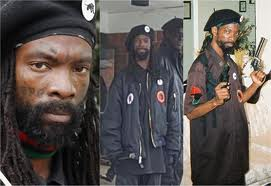 The New Black Panther chairman Hashim Nzinga said this week on “Black Power Radio” that supporters need to be like the Founding Fathers of America and be “willing to die” for the future of black nation. Nzinga said that the New Black Panthers should be looked upon as Founding Fathers who declare war and are “willing to die or kill to save our babies and to save a black nation that is dying before our eyes.” Hmm, is that what the Founding Fathers really meant? 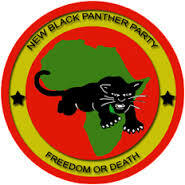 Take a good listen to the voice of reason from The New Black Panther Party. So now they want to be like The Founding Fathers? Aren’t these the same folks who despise The Founding Fathers for being slave owners? Oh and while the New Black Panther Party is on the topic of saving their babies, maybe they might want to look at the Black genocide of abortion. Sorry, but outgoing Attorney General is nothing more than a racist. Attorney General Eric Holder cannot leave soon enough. Yesterday would not have been too soon. Sorry, but when you are driven by color, when all you see is color, when everything you do is dictated by color, no matter what color that is, you are a bigoted racist. In an interview with the Politico, Eric Holder said that during his final weeks in office he plans to push for a new, lower standard for civil rights offenses. Why, because Holder could not press civil rights charges against George Zimmerman in the death of Trayvon Martin and was unable to get a feather in his cap and press civil rights charges against police officer Darren Wilson in the shooting death of Michael Brown in Ferguson, Mo. Both individual, George Zimmerman and Darren Wilson, were never convicted of any crime, Zimmerman was acquitted and found not guilty by a jury and the Robert P. McCulloch, the Prosecuting Attorney for St. Louis County, Missouri, received a “no true bill” and no indictment from the grand jury. However, this is not good enough for the likes of Eric Holder, because all he sees is color. The hell with a jury decision or one from a grand jury. Holder only sees that black people can be wronged. Remember the voting intimidation case by the NBPP in Philly that Eric Holder nixed? But as Holder says, when it comes to “My people”, its a different story. My people? Gee, didn’t you think that the Attorney General of the United States upheld the law for all people? Lower the standard of proof for a civil rights case, seriously? Please tell me that this fool, this bigot, this race-baiting, hate-filled individual does not have the authority or power to do so. Then again, when does the Obama administration ever abide by the US Constitution or the law? Civil Rights prosecutions have existed for years, but it is only when Eric Holder is Attorney General that the standards need to be changed. It is truly sick that this man only sees the world through the bias lenses of black and white, where only white can be wrong and evil. As I said earlier, Holder cannot leave office soon enough, this country will be a better place once he does. The best comments of Eric Holder and his ilk can be heard below by Milwaukee County Sheriff David Clarke. Watch the VIDEO below where Clarke blasts Holder and calls him out for what he truly is. Sheriff Clarke went on to say that Eric Holder owed an apology to every individual who puts on the uniform and “Holder sat up there and insinuated that these law enforcement officers in Ferguson go out with some nefarious and malicious intent in their hear to deny people their rights and to indiscriminately shoot and take peoples lives for nothing”. You can see just how pissed Sheriff Clarke is. But of course liberals and agenda driven blacks would say Clarke is not black enough. Video from the NATIONAL PRESS CLUB, WASHINGTON D.C.
Frank Sha Francois, the Queens chapter leader of the New Black Panther Party says that Zale Thomspon, the jihadist sympathizer who hated cops and white people, “a crusader seeking justice.” Frank Sha Francois stated that “it probably won’t be the last [attack on police] because you have a lot of frustrated people out here.” Although, Francois insisted he didn’t agree with Thompson’s methods. Sure he didn’t, that’s why he makes such a claim that there will be more attacks on police? The NBPP leader said that Zale Thompson was not a member of the Queens chapter, but he did show up to meetings and focused on the topic of police brutality. Crusader for justice, eh … sounds for like a radical jihadist, reverse racism and a hate crime. Thankfully, Zale Thompson was shot dead by police before he could cause more harm. The Muslim extremist who attacked rookie cops with a hatchet last week was “a crusader seeking justice’’ — and more assaults will likely follow, the head of his local New Black Panther Party warned. “It probably won’t be the last [attack on police] because you have a lot of frustrated people out here,” Queens chapter leader Frank Sha Francois told The Post. Francois said ax-wielding Zale Thompson wasn’t officially a member of his group, but he came to meetings and they talked about “police brutality” cases such as Eric Garner and Michael Brown. While he hailed the ax man as a “crusader,” Francois insisted he didn’t agree with Thompson’s methods. UNBELIEVABLE … More reverse racism and racial hatred, brought to you from the New Black Panther Party’s leader King Samir Shabazz. Because nothing says racial harmony and can’t we all get along like the comments from Shabazz, “You should be thankful we’re not running around here hanging crackers by nooses and all that kind of stuff, yet, yet, yet.” Or the following special perils of wisdom, “I hate the sound of white people. G*ddamnit, I hate the smell of white people.” Yes, this brought to you by the same folks that the Barack Obama Administration and Attorney General Eric Holder allowed the NBPP to walk free on obvious voter intimidation of white voters. Then again, it was for “his people”. Listen to the unbelievable audio of the NBPP leader on a national radio show this weekend, calling for broad violence against whites. The FBI and the Justice Depatment investigates George Zimmerman for a possible hate crime against Trayvon Martin, yet nothing happens here. Imagine of the roles were reversed a a white individual made the same or similar comments toward blacks? When is Barack Obama and Holder going to show any form of “fairness” when it comes to hate speech? More on the Obama/Holder double standard of racial hatred at the Gateway Pundit.